White - The image refers to the same article in another finish. The box shows the effective finish. 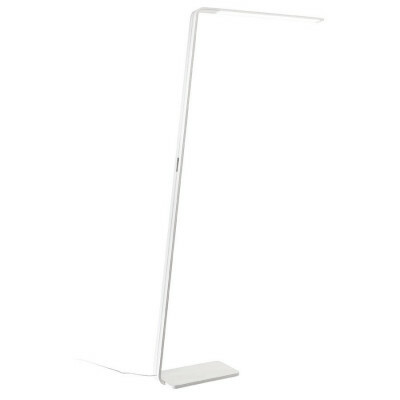 Lama floor lamp with white or black aluminium finish. Anti glare technology with Hi-flux LED. 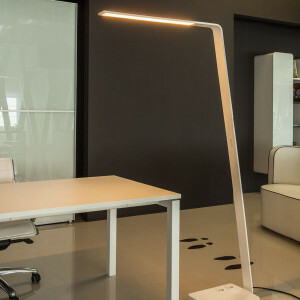 Modern lamp for lighting and fixturing your living room. 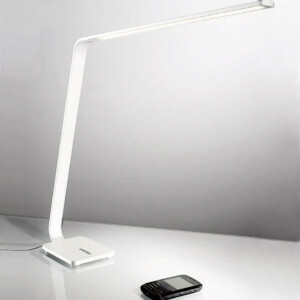 This device is provided with integrated LED lamps. The lamps of this device are not replaceable. 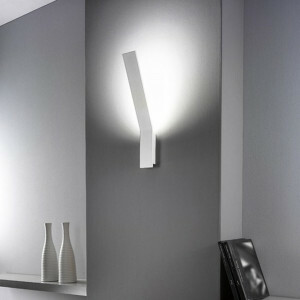 Designer wall lamp, with opal polycarbonate diffuser cast in a bent aluminum blade. Dimensions: 49.5 cm x 7 cm x 19 cm. 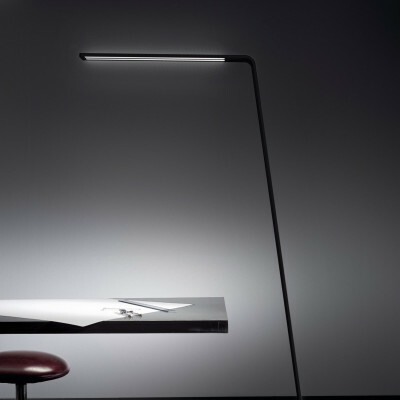 The Lama lamps were awarded the Reddot Design Award 2011. Lama energy safe table lamp. 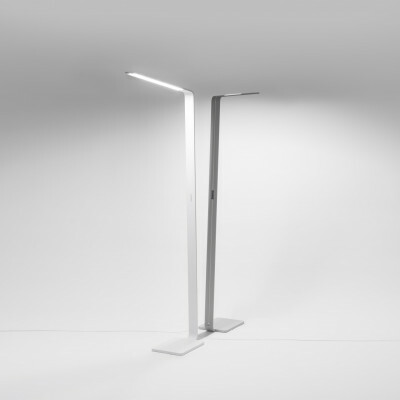 Lamp with aluminium coated finish. strip LED Hi-flux technolofy. 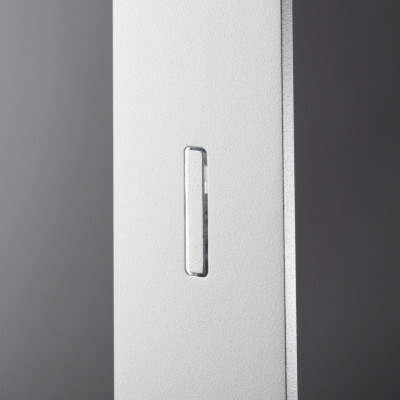 touch dimmer technology for this table lamp. Lama ceiling with coated aluminium finish. Strip LED and anti-glate technology. Ceiling for fixturing your kitchen or living room. Design energy saving lamp. Lama luminaire. 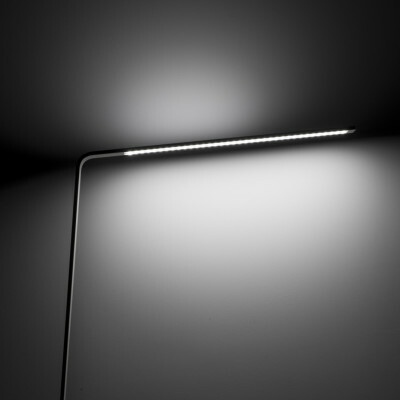 Strip LED Hi-flux technology. Pendant lamp with innovative design. 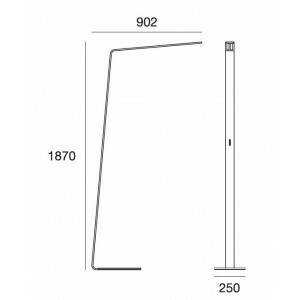 Mounting plate in a black or white coated aluminium finish. 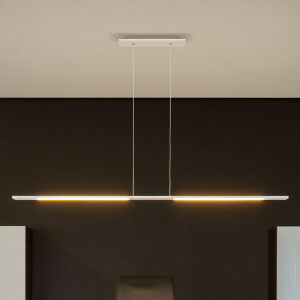 Design luminaire for living rooms and kitchen. 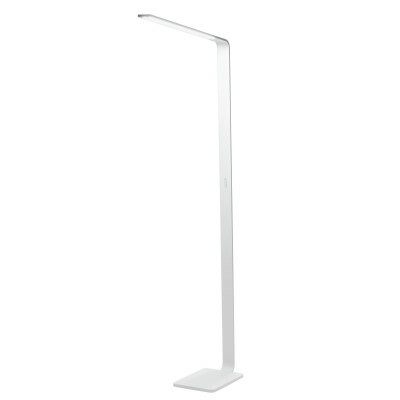 LED floor lamp with double emission for office or modern living room lighting. Touch dimmer. On the base there are two sockets, for various uses. Available colours: white or grey. LED lights. 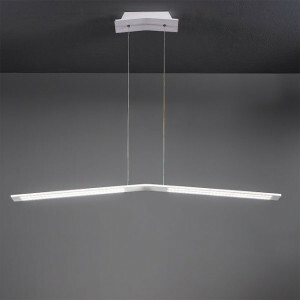 Suspended bi-emission lamp for modern office lighting. LED lighting. Grey or white lamp. Length of the lamp: 120 cm. For any questions concerning your order or for more technical information on our products and guarantees, call our Customer Service Hotline. Monday to Friday 9:00 am to 1:00 pm and 2:00 pm to 6:00 pm. The accepted payment methods on our website are with credit card, PayPal and bank transfer. Credit card payments are made through PayPal; sensitive data entered during payment are managed exclusively by PayPal, in accordance with the current legislation regarding the protection of privacy. In case you change your mind, we guarantee you the right of withdrawal (Legislative Decree no. 21 of 21.02.2014, Art.52) within 14 days from purchasing. It is simple and easy: just call us, send an e-mail, or fill the form. All items for sale at Light Shopping are covered by the manufacturer’s warranty for 24 months. In case of accidental breakage during transportation, or manufacturing defects, replacement of the damaged part is free of charge. The IP identifies the degree of protection of electrical equipment against the inflitration of external agents, solid or liquid in nature. For purchases made on Light Shopping it is possible to exercise the right of withdrawal within 14 days of receipt of the goods (Legislative Decree No. 21 of 21 February 2014). We sent you an email confirmation, check your email. If you do not receive the email check the spam box, or contact us by filling out the form. Remember to enter your phone number, we will contact you as soon as possible. Follow Light Shopping on Facebook, Twitter and Google+ to stay informed about offers, promotions and news! By ticking the ˝Accept˝ checkbox you give us your consent to keep your name, surname and e-mail address in order to send you commercial communications and offers relating to products on sale on our site. Your data will be kept for the time necessary to perform the service. You can at any time request the consultation, correction or deletion of your data using this form. This data will only be shared with MailChimp (The Rocket Science Group, LLC) - USA - which will be responsible for sending e-mails effectively.